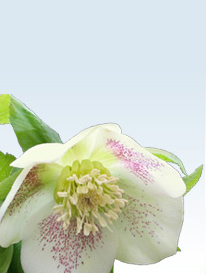 Hellebores are valued for their late winter flowering period; the plants are surprisingly frost-resistant and many are evergreen. 20 years ago, when Raphael Webscapes was conceived, the world was a very different place. September 11 was just a date that occurred sometime after Labor Day. Bill Clinton was president of the US. The internet was starting to be interesting to the public. There were no smart phones, tablets or even iPods. And, most definitely, there were no business models for someone who wanted to start a web design company. So we just did the best we could and, despite our lack of experience, we grew and moved to an office and then we moved to a larger office and then we hired more designers and bought more equipment... and it was wild and crazy and fun. Our portfolio blossomed and the internet became part of everyone's daily life. Gratefully, here we are in 2018... doing some of our best work ever.